Skills and abilities: Gifted street fighter, armed and unarmed combatant. 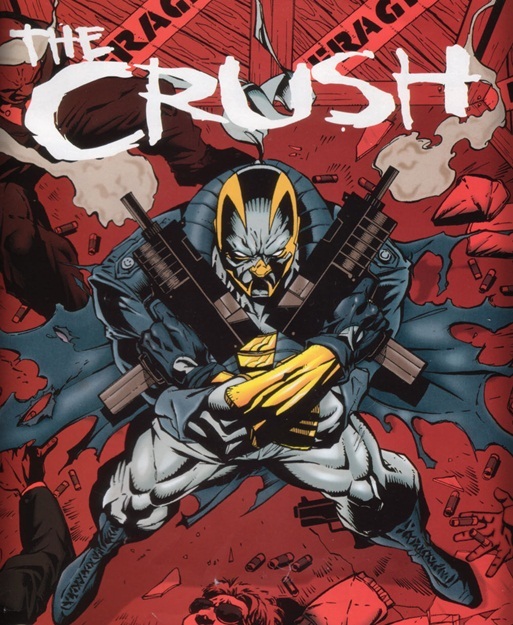 The Crush” is about an inner-city vigilante named Dr. Pratt, who works as a psychiatrist by day. Pratt has become disgusted with the direction in which the world is headed and decides to do something about it personally. He is sought after by the police as a murderer because he kills his victims by crushing their heads. Crush’s main targets are drug dealers and violent street criminals as opposed to the super-powered villains that other heroes battle. and strange powers isn’t it ?